Next month on March 2, we recall the signing of the Texas Declaration of Independence from Mexico in 1836. Although the occasion sounds significant, the date is actually a pseudo holiday in Texas. Is there a hidden story? The answer is yes. In fact, I chose the title above to shed light on mostly rejected details in the telling of mainstream Texas history. To begin with, what is a “Rubicon” and how is it related to Texas history? Briefly, the Rubicon is a river that once marked Italy’s northern border. At the time, Rome was a republic governed by the Roman Senate, whose members were elected by the citizens of Rome. In 49 B.C., Julius Caesar was governor of Gaul and Rome’s most successful general. Because he had led Roman forces to victory against the northern tribes, some senators began to fear his not-so-subtle ambition for more power. Thus, with mission accomplished, the senate ordered him to disband his army and report to Rome. Roman government rules of engagement required Governor Caesar to leave his troops behind when he crossed Italy’s northern border (the Rubicon River) and enter Rome by himself. Disobeying those orders, Caesar crossed the Rubicon with one of his legions and marched toward Rome — committing treason. It’s recorded that he voiced the phrase “iacta alia est” (the die is cast), meaning that he knew that he was crossing the point of no return. Receiving word of Caesar’s approach, his critics in the senate panicked and abandoned Rome. The result? Submitting to his demands, the remaining members of the Roman Senate appointed Julius Caesar as dictator for life. In short, the Roman Republic was dead; the Roman Empire was born. Now, what does this iconic power grab that occurred in 49 B.C. in Italy have to do with Texas history? To put it bluntly, everything. In truth, “crossing the Rubicon” fits the model that U.S. immigrant caravans used to unlawfully enter Texas. It may not have been an invading military army. Nonetheless, it was a massive invasion of U.S. immigrants crossing the Sabine and Red Rivers, assuring the establishment of the U.S. Empire from sea to shining sea. Undeniably, U.S. immigrants used the Texas-Louisiana border as their launch pad for U.S. expansionism. Moreover, the 1819 Adams-Onis Treaty served as an added springboard. Long alarmed by U.S. encroachment, Spain had already agreed to sell Florida to the U.S. Then, with the U.S. orchestrating the Adams-Onis treaty, Spain was forced to give up more of its land, ceding West Florida (today’s Florida Panhandle and portions of Alabama, Mississippi, and Louisiana). In signing this latest agreement, the U.S. “promised” Spain that they didn’t want any more of its territory and that they wouldn’t trespass west across the Sabine River or south of the Red River. The record shows that the Adams-Onis Treaty didn’t last. Equally distressing from an early Texas history viewpoint, the Spanish Mexican and Native American residents (our ancestors) were invisible to the Anglo Saxon-descent immigrants pouring into Texas with reckless abandon. To hear mainstream U.S. historians tell the Texas story, independence from Mexico was a daring act led by white Anglo Saxon-descent Protestant immigrants who wrote the declaration of independence while living in Texas. The truth? First, the Texas Declaration of Independence is short on originality. Why? Because a U.S. citizen named George Childress wrote the document while living in the U.S., not Texas. Using the U.S. Declaration of Independence as a model, Mr. Childress merely filled in the blanks. With the debatable document in hand, he then illegally crossed the Red River and entered Mexico, joining U.S. plotters already in Texas. Second, the Texas Declaration of Independence is an invalid document in my view. That’s because of the 59 signers of the declaration, 56 were not native-born Mexican citizens; they were illegal immigrants from the U.S. Only three signers were native-born Mexicans, induced into signing the dubious document (Señores de Zavala, Navarro, and Ruiz). They were later betrayed by their Anglo allies. Third, Texas independence lasted only for nine short years because the Anglos traded their independence to join the U.S. as a slave state in 1845. Frankly, the mainstream U.S. and Texas foundation story doesn’t make sense. Why? Because they have cleverly hidden the above features that counter their Anglo Saxon bias in recording Texas and Southwest history. That approach deceives the public into believing that Texas and Southwest states were populated largely by Native Americans who were used to subjugation by white settlers encroaching on their land. That theory follows a New England play book, meaning that the original thirteen English colonies were just expanding west (without regard to Spanish Mexican colonies already established there). Lamentably for Mexican-descent Texans, that faulty storyline forms the core of Texas State Board of Education (SBOE)-mandated classroom social studies and Texas history lesson plans. 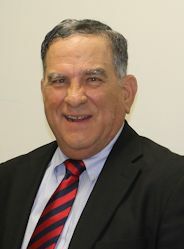 As such, the Texas SBOE has (a) misinformed students of all backgrounds for many years; (b) particularly disrespects descendants of the Spanish Mexican founders of Texas, New Mexico, Arizona, California, Colorado, and surrounding area; and (c) fails to present the Spanish Mexican chronological founding history of this great place we call Texas. Why is the information above important? Ever since I began writing about early Texas, I’ve tried to focus on making the memory of our Spanish Mexican ancestors and pre-1836 Texas history more muscular; more robust. I’m happy to report that we’re making progress. The Tejano Monument in Austin and other similar memorials are reminders that Texas history doesn’t begin in 1836 with the Anglos’ arrival. My additional goal is to inspire and convince young Mexican-descent South Texas and RGV residents that they have ownership of Texas history. In crossing the Texas Rubicon, Anglo Saxon-descent expatriates from the U.S. fully understood that they were illegally entering Spain’s territory; and after 1821, violating Mexico’s sovereignty. Yet, even though illegal U.S. immigration into Mexico played the main role in incorporating the Southwest, those details are left out of conventional Texas history. Editor’s Note: The main image accompanying the above guest column shows Little Red River Hall County in Texas. (Source: Wikimedia Commons).